Ever since early summer I have been in swooning over the J. 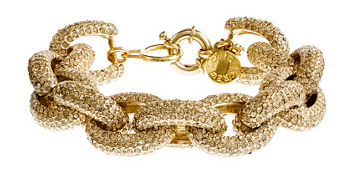 Crew Classic Pavé Link Bracelet. However the $125 price tag was less than thrilling. I decided to make a bracelet inspired by J.Crew’s Pavé, and to my surprise when I wore it into J.Crew the other day one of the sales girls said, “don’t you just love your Pavé, it’s a new wardrobe staple”. While J.Crew’s only inspired my version, it’s simple to make (under $10) and can be created no matter what your skill level is. ahh so smart - and it looks just like the real thing! Beautiful! 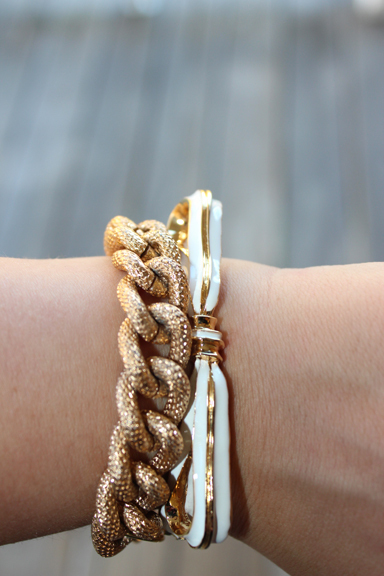 I love chunky bracelets like this. Great job! I love it! I just can't pay the prices they want for their jewelry! Any sort of JCrew inspired anything is a win in my book! I love the bracelet! Great idea, dear! And very cute blog! Love it! It's so close to the original too! LOVE! It looks just like the J. Crew one! Great tutorial! Gorgeous. Wow. You did such a good job fixing it. this is awesome! i've been wanting one of these and can't wait to make it! It looks just like the J.Crew one! Where did you get the chain from? Your bracelet looks gorgeous! Great DIY and it seems pretty darn easy! Awesome diy, Erica!! It looks great! you are so crafty I can never get over it! What a great DIY! Looks just like the JCrew version but way more affordable!